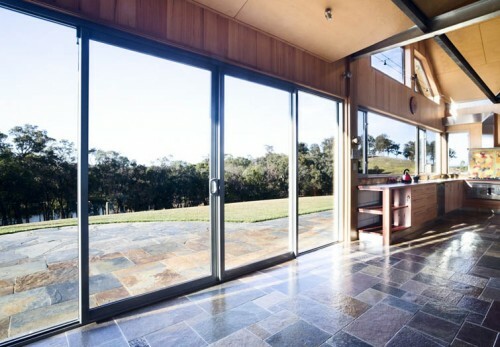 Let the inside meet the great outdoors with Rylock’s custom sliding doors. 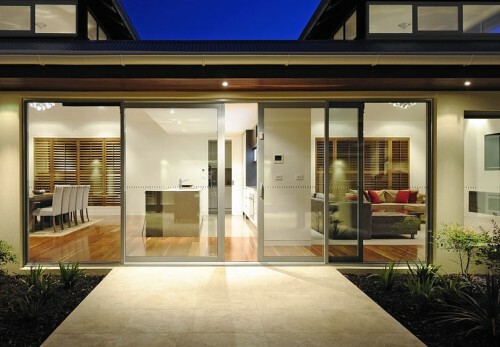 Offering easy operation & minimal intrusion, our sliding doors open up inner living areas to embrace your landscaped features. 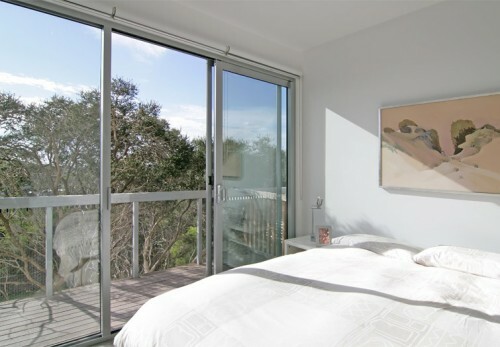 Just like our custom windows, Rylock sliding doors offer design flexibility with two, three or four panels – whatever suits your needs. Architectural features, like transoms (crosspieces), can be integrated within fixed or sliding sections, while fly screens conveniently follow the same sliding format. 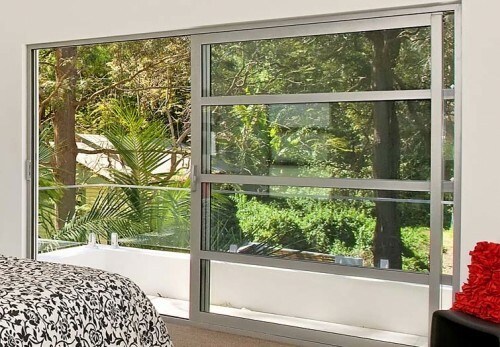 Rylock sliding doors feature high performance carriages & hardware, meaning the smoothest of operation with heavy double glazed panels. 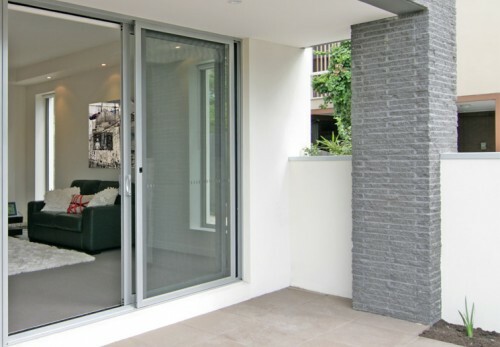 AA Series doors have a powder coated outer frame. This is shielded internally with a hardwood reveal, which makes for an energy efficient door. 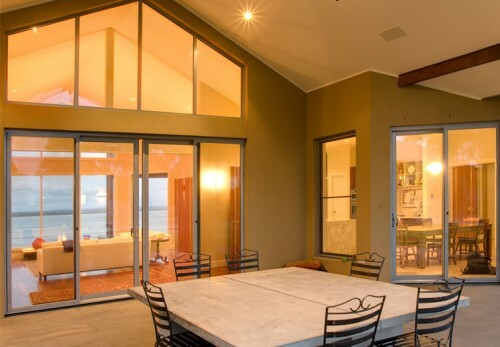 Double glazing minimises heat loss, whilst specifying a high performance glass in the double glazed panel enhances this already high performance door.